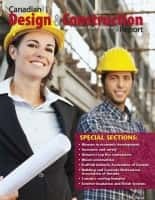 We’re almost ready to publish: Social media and marketing for architectural, engineering and construction companies –What you really need to know to achieve profitable results. I expect the release will be on August 15. The book needs a bit of final writing and proof-reading and this Friday will go to the e-book formatter (a new trade that didn’t exist just a couple of years ago). Now you can have the final say. Pick which of the three covers you like the most and let us know because your vote will ensure the best cover wins. Oh.. there’s something in the deal for you, as well. If you wish, you can register for a $2.00 savings on the regular $5.95 book price (no obligation to purchase) or, if you wish to be daring and pre-pay, you can receive the book for $1.95, a further $2.00 discount.) There’s an unconditional money-back guarantee. 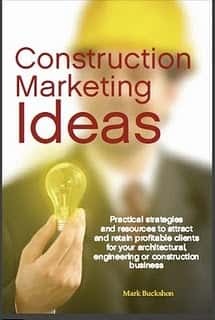 If you’ve already read or ordered Construction Marketing Ideas: Practical strategies and resources to attract and retain clients for your architectural, engineering or construction business or are an advertiser in one of our publications, the book is free. Your votes will be helpful. You can access the voting survey here. Your vote is confidential unless you wish to identify yourself, and you will see the overall results right away. Please vote now. How much is “character” (or integrity) worth?